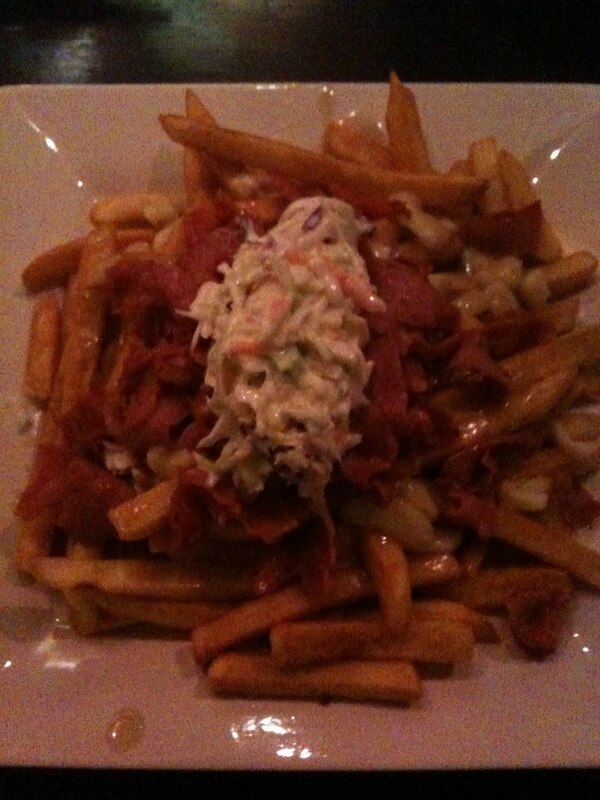 Poutine is unleashed at Phog! Yes. A new menu exists at Phog. Frank has been thinking about it for a while, and he has a heap of cheese-curdy, gravy goodness in store. The first night of release, Tuesday, February 16th, there was a veritable carnival of calories. 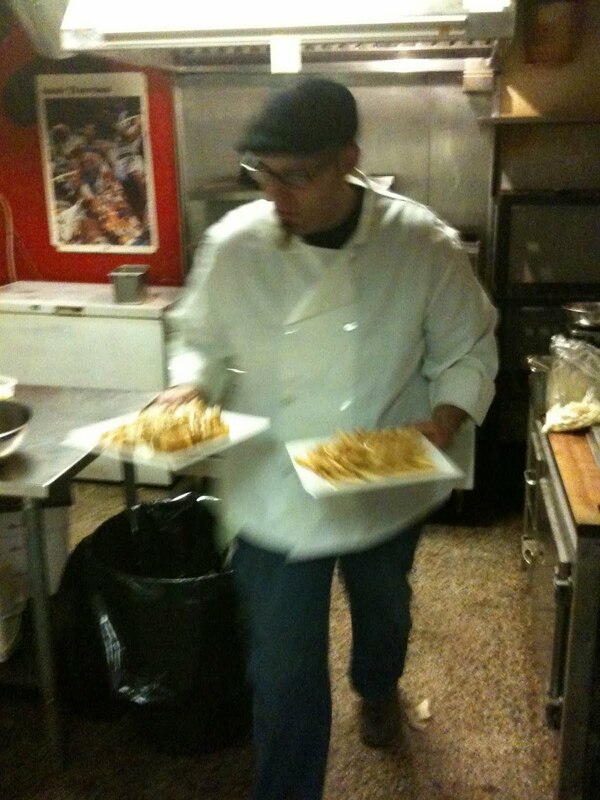 Frank was on fire, delivering the currently large menu of poutine combinations. 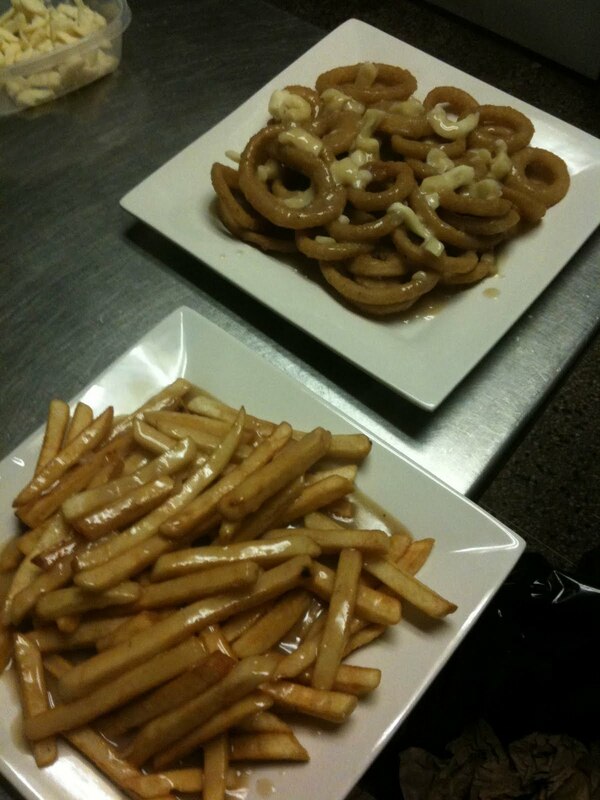 The Classic Poutine and the Phonions (onion rings covered in gravy and cheese curds) were quite popular, with at least one of the Phonions orders going out with BACON! 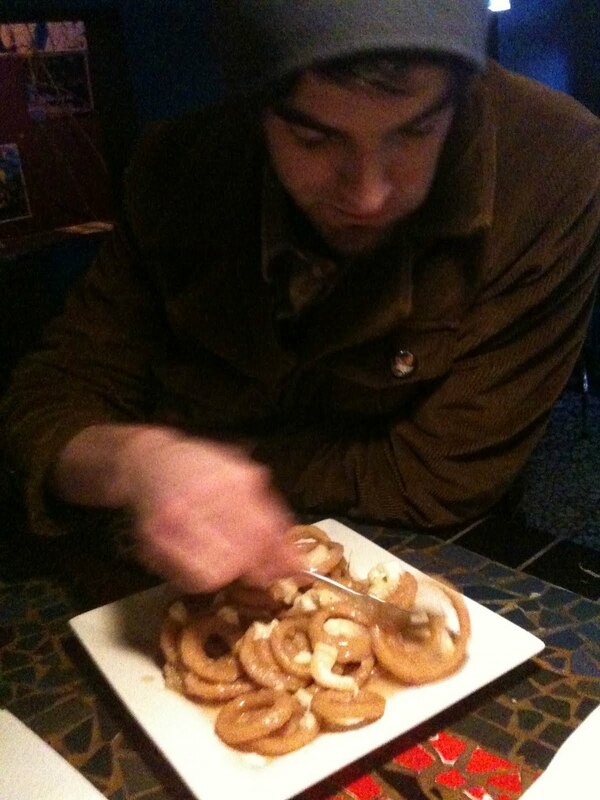 Kyle Marchand approved of the poutine onion rings! The poutine named after the CBC, (maybe as a tribute to having the Searchlight contest last year) which stands for “corned beef and coleslaw”, smelled better than anything ever has in this building! The Cheeseburger poutine was love on a plate. It was ordered several times on the opening night. Come on down to Phog Lounge between 5pm and 10pm, Tuesday through Saturday, and make Frank hustle in that kitchen!! 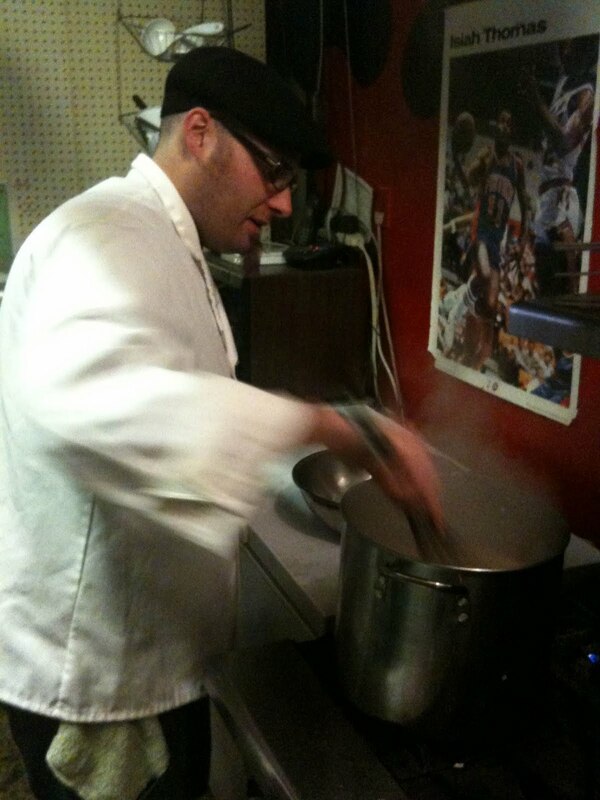 This entry was posted in Uncategorized and tagged cbc, frank, kyle marchand, menu, poutine. Bookmark the permalink. 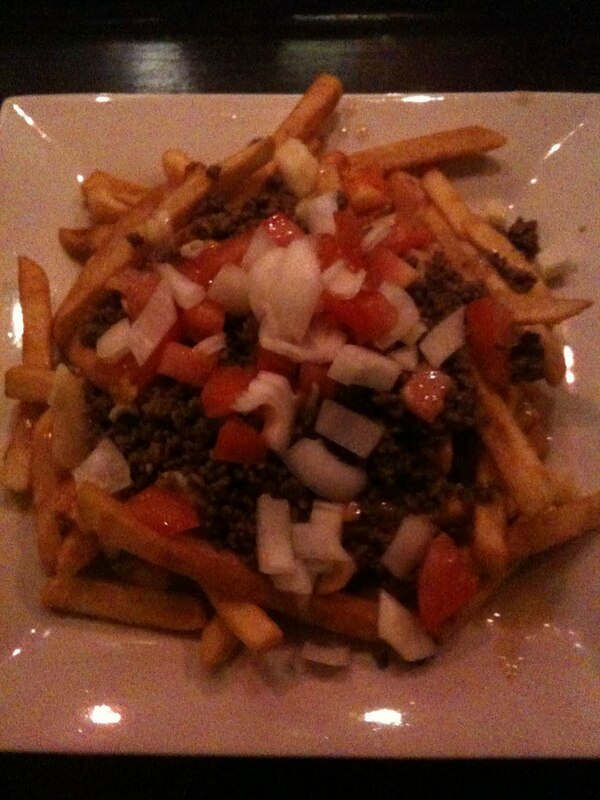 4 Responses to Poutine is unleashed at Phog! 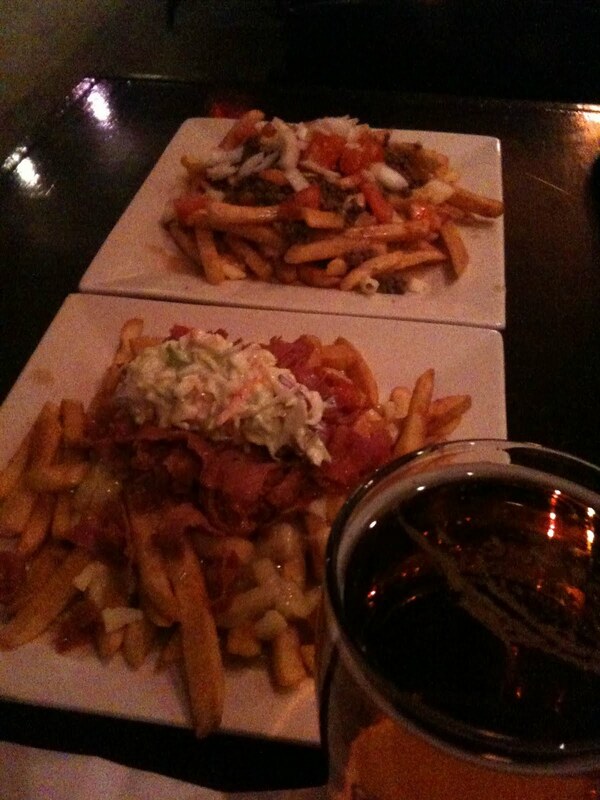 Me and Johnny West had the classis and cheeseburger poutines and they were amazing! If you want great poutine this is the place. Bravo Frank! we will be back!! !